Karki’s parents who belong to a middle class family said they would bear all the expenses to send their son to attend the conference. Karki informed that the total expenditure for his trip would come around Rs 6, 00,000. He said he would need a laptop for presentation in the conference. He has urged the government to assist him in taking part in the conference. CAN SOME ONE PROVIDE ME THE LINK WHERE I CAN SEE WHAT HE HAS CLAIMS? Rijan: Please be respectful to renowned scientists, Mr. Einstein and Mr. Newton. Remember! Your success comes not from betraying others but respecting them, so stay focus on your belief and provide a clear and articulate presentation. That’s more important than giving the challenges to the world’s greatest scientists. Also, please do not be so critical. how can he prove such laws false? those laws are theoritically proved and experimentally verified over decades. so how can a slc graduate claim it to be wrong? I think he has gone mad. if something can flourish in nepal, it's only dirty politics and strikes. science and technology is not made for we nepalese indeed. may I know your educational background Achintya? You might be talking about the ages. S&T is for the country like us and we are progressing ahead with great momentum. hey! dude what u say'ng, u'r really gone mad.do u think reading e magazines and watching TV for 2/3 years is enough for making such a decade years' theoretically and experimentally verified facts...ha..ha.. This is what is exactly wrong with us Nepali folks! We are never open to changes! Just because it has been followed for decades and is a tradition, does not mean that it may not be. I think we should be open to his ideas and hear him out, at least...let's give him the benefit of doubt and let him prove himself right or wrong! 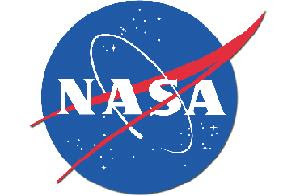 Have you ever attended a meeting at NASA, with everyone waiting to hear your voice? No? Then I think we don't deserve to laugh at any of this. I hope Reason will come up with his idea in this forum. Changes should be good, reasonable...That's what is exactly wrong with us, we dont analyze whether the change is good or bad; "kagle kan lagyo bhandaima kag ko pachhadi kudne hami nepali haru". ali kati matra pani analyze garne bhaya hamro desh nepal dherai agadi pugisakthyo.Neta kati thik chhan wa chhainan, alikati pani nasochi tiniharuko follow garne hami nepali haru...Nepali ko bani nasudhrine bho!!! Hey dude E=Mc^2 is also not dimensonally correct. then what dude. its unification of mass and energy in a coin. same might be with that rajan karki formula Fg=Mc^2/d. hey rijan no matter what the world says I say u were right I have also found that the formulas n theories given by two great scientist were wrong . our government is dumb so be urself. I also can fail their imaginary theories on allien that thy had provided but no one listen us so man keep it up u have to fail them all n.
Hey what's this a child sent to school on first day has dared to teach his teachers. We generally take einstien and newton as the teacher of science whose laws and principle are beyond somebody's ability to understand.Even regarding e=mc2 ,it is the formula that one gets to c only in its form in our books and talking about newton his all the laws are practically implemented in daily life.They have all been prooved to b truth.And how can a boy with the base of National geographic and some science magazines and journal think of prooving science wrong as i take einstien and newton the synonym of science(physics). This is my Nepal and these are my citizens. Enjoy your fame because only you know that you have no theory at hand yet you haven been able to convince some of the most gullible people on the planet. You do not need to give a reason for a dimensionally incorrect nonsense equation because you are the Reason and no one else understands. Because it was done by a Nepali, you are entitled to throw in whatever you can. People, lets condemn our government for doing nothing while our little champ travels around the world giving the true impression of the quality of Nepali science in which we can only claim and don't have anything to show except an incorrect equation that does not make sense. These are great minds that shine our country's true science status in the world. Lets donate them, publicize them and show how we think science and how we have understood science. Lets hope that we have many scientists like him so that we can detach ourselves completely from the traditional science and live in our own fascinating world. oooooooooooooo.. i can smell fireworks around here. some graduated fellows are burning inside. shame on all of you as nepali.That's why we haven't prospered yet.If some of us folk gets ahead we don't support them but instead we are more into pulling him back. And those who had doubt in his equation being dimensionally wrong I would say,, before speaking up just be clear yourself. Fg(g as a subscript) might be the gravitational force alone and not product of F and g.that way the equation is totally correct dimensionally. So before you comment baselessly just beware!!! And yet, after all this arises my suspicion. So my very best wishes to Rijan Karki, for having stood out among the general public and great appreciation to that he keeps on with unstirred effort and confidence...? And lastly- Has anyone got the access to the mathematical derivation of Rijan Karki's formula? Do write on in case you do...!!! Silly boy, claim based on nothing. I wonder why do Nepalese make things like this big... stupid... It will hamper image of Nepal and Nepalese more.. Challenging Newtons theory and einsteins relativity by a mere 16 year old school kid who does not even know what relativity is or quantum mechanics. Need to learn more and then learn again boy... challenging scientists is not for you not for this life at least. Please be polite while discussing in this forum. I am sure you can say what you want in a polite manner as well. Einsteins was 16 when he met Shivapuri Baba in Switzerland. Baba asked him what will be thesum of 1+1 and Einsteins replied as 2 then baba said wrong. At that moment Baba told him that he can not add these 1s and they are not similar!! !This might have triggered the great discovery of Einsteins on relativity. Baba lived for 137 years. hello mr Surfer,i am unknown from where are you but i wanted you to be more sensible in your words and suggest you to be disciplined one. you have thought that Nepalese are clown hmhm......... i think you are very talent and you know every phenomenological assumptions given by Newton and Einstein but still you are a dull on my eye bcoz your mind is dark enough to analyze the history. Einstein and many other scientists weren't scientists by birth. and one thing all were born with empty minds, no one and nothing is perfect even you too. Einstein had said himself" in due course of time even my theory may be false" bcoz no one knows everything about nature and science completely and its just like touching an elephant by blinds. its your work to assume-out how they analyze an elephant............plz! all the best mr.Reason Karki. its the job of genius to think every theories of science to deeper level and challenge too if its necessary and its the job of commentors either to praise him/her or call insane!